Artist impression of an aerial view of phase 2E or Lava, of The Atmosphere in Seri Kembangan. 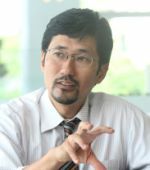 The Atmosphere sets a new benchmark for commercial developments in Seri Kembangan, Selangor with its unique hybrid “shopping mall” design for its 20.1-acre commercial centre, says Tempo Properties Sdn Bhd chief executive officer Khoo Boo Hian. This commercial centre is the second phase of The Atmosphere, which aims to integrate leisure, retail and office elements in a central hub. “They are shopoffices but the commercial centre looks and feels like a shopping mall. This hybrid design is unique in Malaysia,” says Khoo. Khoo: ‘The biggest headache for a commercial development is the car park’. Khoo points out that the unique design of the commercial centre has resulted in “two ground floors”, with an elevated and landscaped boulevard on the second storey. Beneath the boulevard level are two levels of covered car park bays, and it was this design element that led to the creation of the “two ground floors” for the centre. Khoo says this also means patrons of the centre benefit from the covered car park and the open courtyard design with space for events. Highlights of The Atmosphere's commercial centre include a 1.4-acre public park, covered walkways, public toilets, sheltered boulevards, alfresco plazas, open lawns, an open courtyard design for events, and high ceilings for retail outlets, 22 to 28-feet wide shop frontage as well as the spacious 20 to 30 feet wide walkways. There are 1,600 covered and open-air car park bays. Areas in the commercial centre are inter-linked via covered walkways, escalators and lifts. “You can walk from one end to the other without getting wet,” says Khoo. The Atmosphere's commercial centre, with a gross development value (GDV) of RM370mil, was launched in 2009. Unit prices ranged from RM1mil to RM4.5mil, and the average selling price was RM300 per sq ft.
Khoo says the 136 units in the earlier launches were sold out, and the final launch (phase 2E or Lava) has a 70% take-up rate. Phase 2E, which will consist of 54 retail and office units, is expected to be completed by end-2013. Khoo also points out that phase 2E has a “three ground floors” concept with raised courtyard plazas. The project also won the category of Best Mixed Use Development in the Asia Pacific region (including 5 stars for Malaysia) in the 2011 Asia Pacific Property Awards 2011 (in association with Bloomberg Television). It is also the first commercial development in the South Klang Valley to be Green Mark certified by Singapore's BCA (Building and Construction Authority). Khoo says this will translate into lower water and energy bills and maintenance cost, as well as an enhanced work environment. 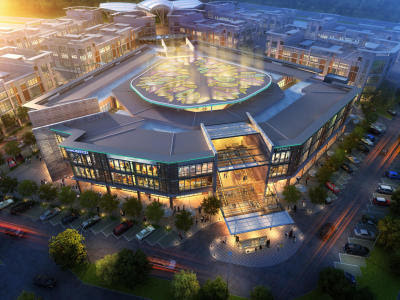 The Atmosphere has three phases of development, with the first phase being a Giant hypermarket on a nine-acre site. “The Giant Hypermarket chain bought the land in 2008 for about RM30mil. The hypermarket opened two years ago,” says Khoo. Another 6.1ha remains to be developed as the third phase on the 53-acre site of The Atmosphere, and Khoo says various options are being planned. “We are looking at close to a GDV of RM1bil eventually for the 53-acre site,” says Khoo. Khoo also points out that The Atmosphere is strategically located near to areas such as Prima Tropika, Alam Santuary, 16 Sierra, D'Alpinia, Taman Putra Permai and Taman Equine. “We are in the heart of the Golden Triangle of South Klang Valley with Puchong, Putrajaya and Seri Kembangan forming the axis.” He says Seri Kembangan is a rapidly growing property hotspot, with high demand for commercial zones. Khoo cites a Spectrum Research Asia report that last year said the residential population of Seri Kembangan within a 20-minute drive time zone was 1.6 million people. The project is developed by The Atmosphere Sdn Bhd, a joint venture company that is 60% owned by Eksons Corp Bhd, with the remainder owned by Tempo Properties. Eksons Corp, which is listed on the Main Market of Bursa Malaysia, is one of the largest manufacturers of tropical thin plywood in the Asia Pacific region. Tempo Properties provides project management support and expertise. Khoo says Tempo Properties is a boutique property developer that aims to create a win-win situation for investors, business owners and patrons in commercial developments such as The Atmosphere. He points out that prices for units at The Atmosphere was the highest for commercial developments in the area. Tempo Properties has its roots in Yoon Hin Sdn Bhd which is a rice wholesaler in Seremban, Negeri Sembilan. Yoon Hin diversified into property development by setting up Tempo Properties in 1995, and its first project was developing the 48-acre Taman Cenggal Utama near the Seremban International Golf Club in 1997. Taman Cenggal Utama consisted of 492 units of residential houses and shoplots, and 179 units of low-cost flats. It was completed at end-2003, and generated sales of RM65mil. Meanwhile, in the heart of Seremban town, Tempo Properties recently completed the Medan Suria commercial development which consists of 34 units of three and four storey shop offices that generated RM27.5mil in sales revenue. It should also be noted that The Atmosphere is adjacent to the 60-acre Taman Prima Tropika residential development, which was Tempo Properties' first foray in Selangor. Khoo says 470 units of double-storey terrace houses and two-and-a-half storey terrace houses with a GDV of RM180mil have been built in Taman Prima Tropika. These were launched from 2004 onwards at prices ranging from RM229,000 to RM379,000. There are 4 ha left for development in Taman Prima Tropika. Khoo says Eksons Corp and Tempo Properties have another joint venture company, namely Oval Rock Sdn Bhd for property acquisition and development. Oval Rock is also 60% owned by Eksons Corp, with the balance held by Tempo Properties. In January this year, Eksons Corp told Bursa Malaysia that Oval Rock had entered into an agreement with Azam Hartamas Sdn Bhd to acquire 22.7ha of leasehold land at Jalan Gombak, Setapak in Selangor for RM17.1mil. “We might start a mixed development in Gombak in the third quarter of next year. We are also in discussions with a land owner in Cheras for eight acres,” says Khoo.